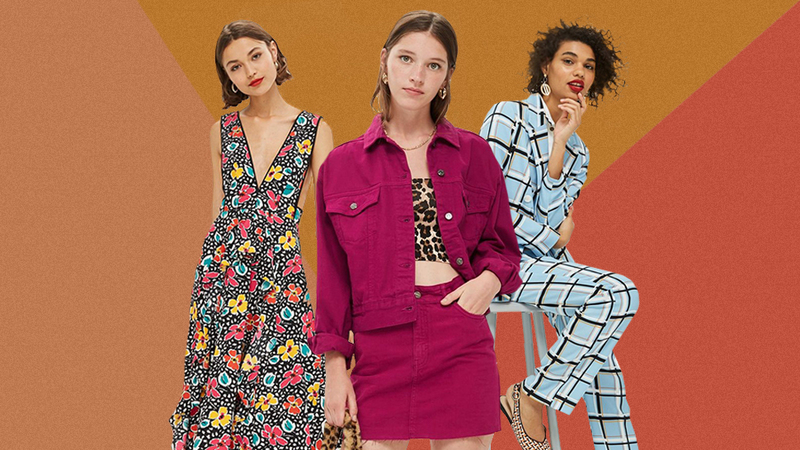 From animal print and colorful tailoring to reinvent '90s classics, Topshop has all your wardrobe needs covered for the season ahead. 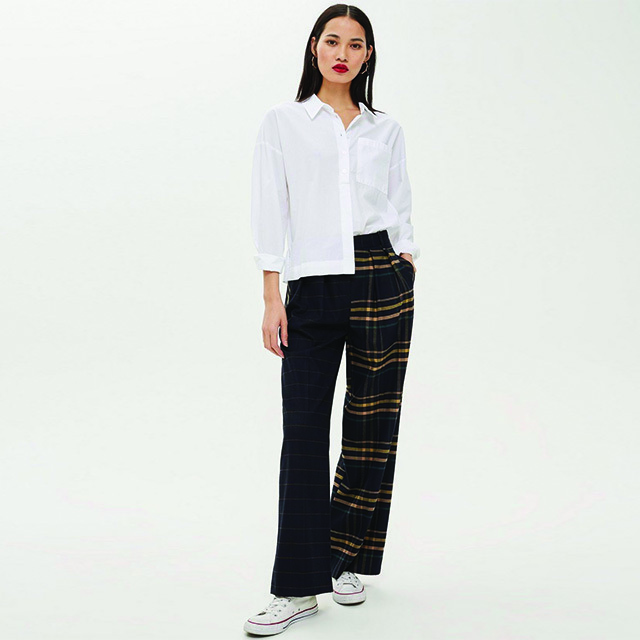 This print may remind you of your school uniform or your dad’s shirts, but checks can look fresh in the form of tailored pants, miniskirts, and light knits. Take notes from Clueless’ Cher and style a classic white tee with a structured plaid jacket and skirt. TIP: The key to pulling off a look like this in humid weather is to select styles in a bright-colored lightweight fabric. Clashing prints is a key trend this season. But if mixing zebra prints with checks is not for you, try pairing two variants of checks together. Pair mix-printed pants with a solid top to keep the look balanced. For a more formal take on the trend, look to corporate-inspired ensembles: A cropped blazer with flared pants in matching checks will take you straight from boardroom to bar. TIP: When wearing matching prints, play up your footwear. Flats or sneakers bring a more casual vibe, while heels or boots are perfect for the office and more formal occasions. Animal print has long been a style staple, and this season, it has become a huge trend. When it comes to styling animal prints, make sure the rest of your outfit is pared down so the print can do all the talking. TIP: A lightweight scarf or wrap dress in a neutral tone or print, such as snakeskin, works perfectly as a subtle nod to the trend when it’s too hot for a jacket. Denim on denim remains current, especially when the fabric gets an upgrade in sweet shades of pink and purple. For a bold look, wear colored denim co-ords with a neutral-printed top. If it’s still too warm to wear denim, get your '90s fix with a color-block windbreaker. TIP: A jacket can look chunky, so make sure the rest of your clothes are more form-fitting to flatter your body. A dress is the ultimate way to keep cool. Choose between a polka dot frock in an autumnal color and, if you’re feeling more adventurous, an asymmetrical dress with an abstract floral print. TIP: Style your dress with heeled lace up sandals for a chic and feminine aesthetic. During autumn, chunky sneakers keep your feet warm and dry from the inevitable downpour. 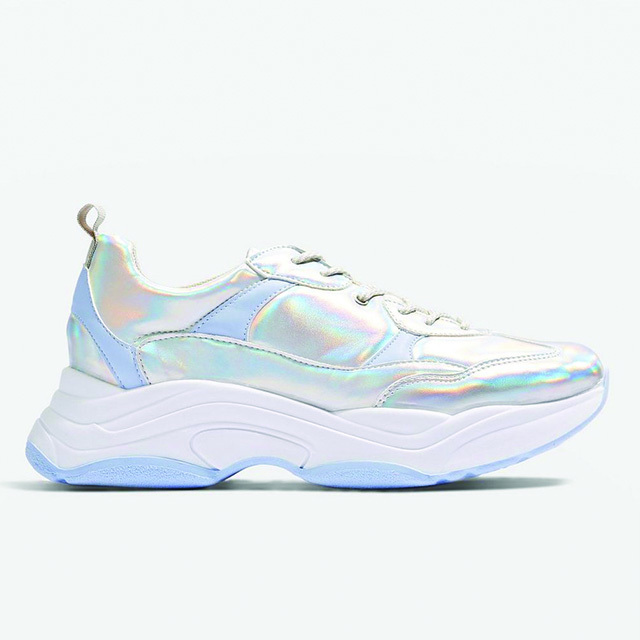 Style an iridescent pair with a denim skirt and long-sleeved top for a sporty look that’s still weather appropriate. Punctuate your outfit with a statement purse. Choose one with metallic beading for a stand-out evening look. TIP: Faux fur is also having a moment this season. Since it’s too warm to wear in the tropics, you can incorporate it into an accessory instead, like a black tortoiseshell shoulder bag. Topshop’s Autumn/Winter 2018 collection features sharp tailoring, ’90s style, and statement prints, so you’ll have a lot of fun styling this season’s trends to suit our warmer climate. In the mood for more trend-spotting? Check out the latest from Topshop @topshop_ph on Instagram or Topshop Philippines on Facebook and shop online at Zalora.ph/topshop. This article was created by Summit StoryLabs in partnership with Topshop.